11/7/2018 beginning progesterone testing on Getty! Welcome to Kiowa Creek Hounds on the eastern plains of Colorado. We are Susan and Wayne Plucheck and live in the country south of Bennett, CO about 35 miles east of Denver. 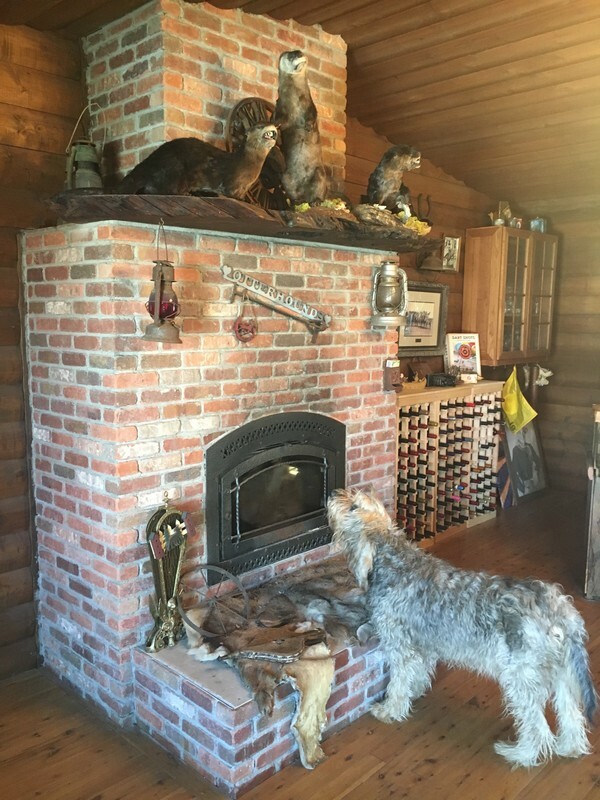 We have five Otterhounds, two mix breed dogs, five horses and enjoy our lives in the country. 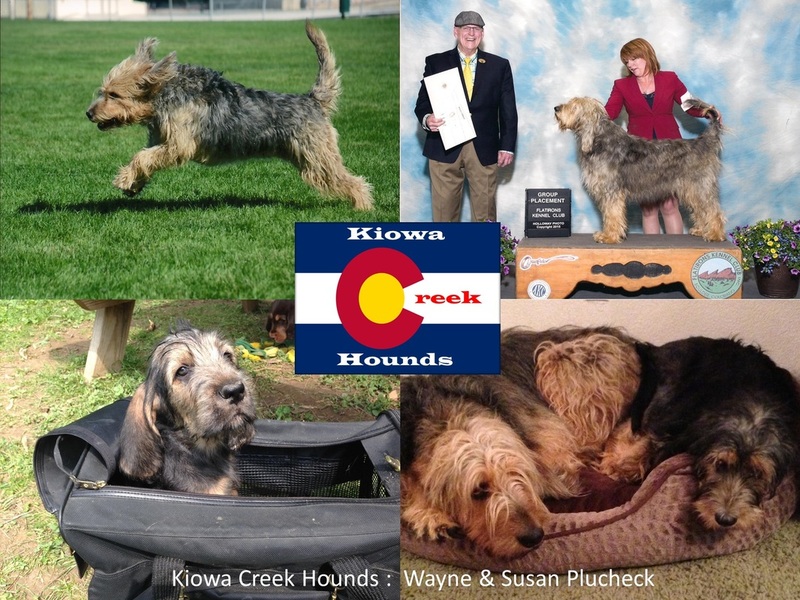 We happened upon Otterhounds in 2009 while attending the Denver dog show, we went just to look at all the different dogs, really weren’t there to watch the competitions but to admire all the breeds. We were walking through the grooming area and saw this big hairy dog on a grooming table, asked the lady what kind of dog this was and was told an “Otterhound”. We decided that we would research the breed and once we felt we were ready we would contact a breeder. We waited about 9 months and contacted a breeder and found out that the sire of her litter lived in Colorado, we visited with the family and absolutely fell in love and the rest is history. Our first litter carrying the Kiowa Creek name was born March 25, 2017 and are beautiful healthy puppies. The Little Rascals litter consisted of 4 boys and 2 girls. Four of the dogs from this breeding are already making their mark in the conformation ring with one of them taking a group placement! We are proud to announce our next breeding will be taking place in the fall/winter of 2018 with puppies on the ground in early 2019.